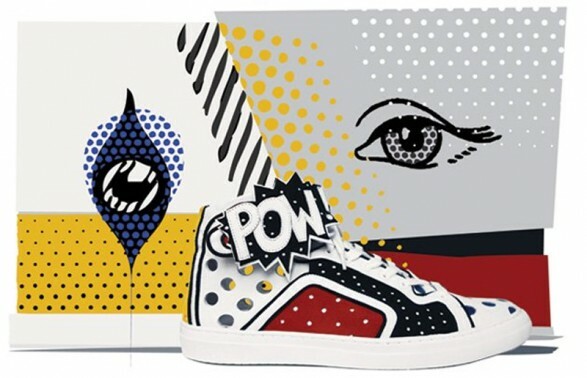 The enormous POW Its perforated surface and the tell-tale colors, Poworama the shoe is most clearly pays homage to the great Roy Lichtenstein to the point that seems to be just dropped one of his famous paintings. It is the ninth release in limited-edition Pierre Hardy for this season. Only 500 will be selling pairs in the most prestigious boutiques around the world as of December 11. Sometimes I wonder what the owners will make these products so unique. Will they ever put on these sneakers? The fact that this model is to dedicate a place of honor on our shelf in the middle of the room.